More key industry employers and recruiters use Avjobs to find high quality, active industry specific applicants like you. You will find jobs in all sectors of commercial, corporate, and general aviation including airlines, manufacturers, aerospace companies, airports and airport-based businesses. 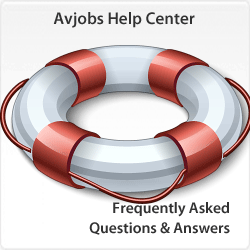 The Avjobs Applicant System offers numerous features and tools to guide you, help you find jobs and achieve your career goals. Whether you are changing jobs or changing careers, you have come to the right place. 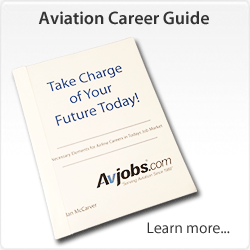 "More than an aviation job board" As The Leading Aviation Recruiting Site (Founded in 1988), Avjobs.com fills two significant voids in the Airline, Airport, Aerospace, & Aviation job market by providing a common meeting place and advanced tools for aviation employers and applicants. 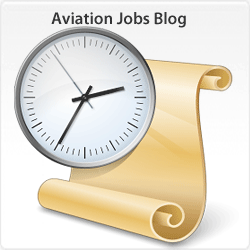 Serious, motivated job seekers have access to aviation specific job postings and hiring information specific to companies in the aviation industry; thus streamlining their job search. Avjobs systems also give applicants automated tools to build professional resumes to aviation standards, provide interview assistance, coach applicants through the job search and networking process, and even issue private – professional email addresses for professional presentation and privacy concerns during the application process. 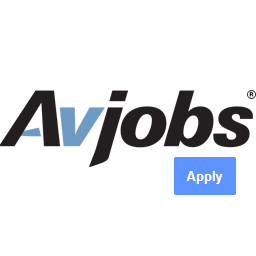 The Avjobs applicant system provides the quickest and best solution to advancing your aviation career. Private & Professional email account that provides a significant boost to your hosted resume & image when promoting yourself to hiring managers. Your myavjobs.com email address is both recognized & white listed by participating employers to ensure delivery of your resume & correspondence. Your myavjobs.com email address can also be easily integrated into your smart phone or personal email account. Our 18 job categories and endless ways to narrow down your job search are certain to give you the results you're looking for. 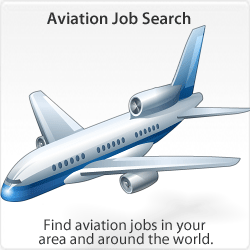 It is the smartest and fastest way to search available jobs in the aviation & aerospace industry. Market yourself and reach more top industry employers with Avjobs Resume Hosting. Hide your identity and keep your job search efforts private with our confidential option. Plus, we've built in 30+ ways for employers to find you. The Avjobs Resumes are produced in the format most requested by employers. Apply for jobs quickly and easily using our one-click application service and the touch of a button. Keep your existing work and personal email address private. We assign you an email address for hiring companies to reach you directly, keeping your job search efforts private. The Automated Job Search Assistant guides you through your job search and keeps you on the right track. You will be notified when to perform the necessary steps, increasing your chances of getting hired. Save and track job listings for future use. My Jobs keeps track of what jobs you have applied for and what action you have taken. Add personal, private reminder notes to each posting. The interview can often make or break your odds of landing the job regardless of experience or training. Prepare yourself with our Interactive Practice Interview loaded with real interview questions. This, is as real as it gets! Use the more than 30 personalized settings to customize the Avjobs Applicant System to work your way. Quick Picks and My Favorite Pages make it easy for you to see the jobs and pages you are most interested in. Print custom cover letters specifically for the job you are applying for. Print a fax cover sheet, custom cover letter and resume all in one easy step. Knowledge is Power. Educate yourself to remain ahead of your competition. Study acronyms, industry terms, phonetic alphabet, airport codes, flight attendant announcements, aviation company information and more! Detailed career overviews provide extensive information on careers in the industry. No more trying to find directions to a specific job location or interview. Graphical maps are used for each job to show you the job location so you can easily see where you need to be. Stay abreast of what's going on in the industry with our real time news feed. Become the featured Resume of the Week for increased employer exposure. An applicant resume is featured as the ROW each Monday and is highlighted in the Employer System. Here, we highlight hard to fill positions, open interview sessions, hiring frenzies, job fairs and company news. This section is updated often so be sure to check it out each time you sign in to view special announcements from employers. Research the companies you are applying to or create your target list of prospective companies you would like to apply to. Search by location or company name.